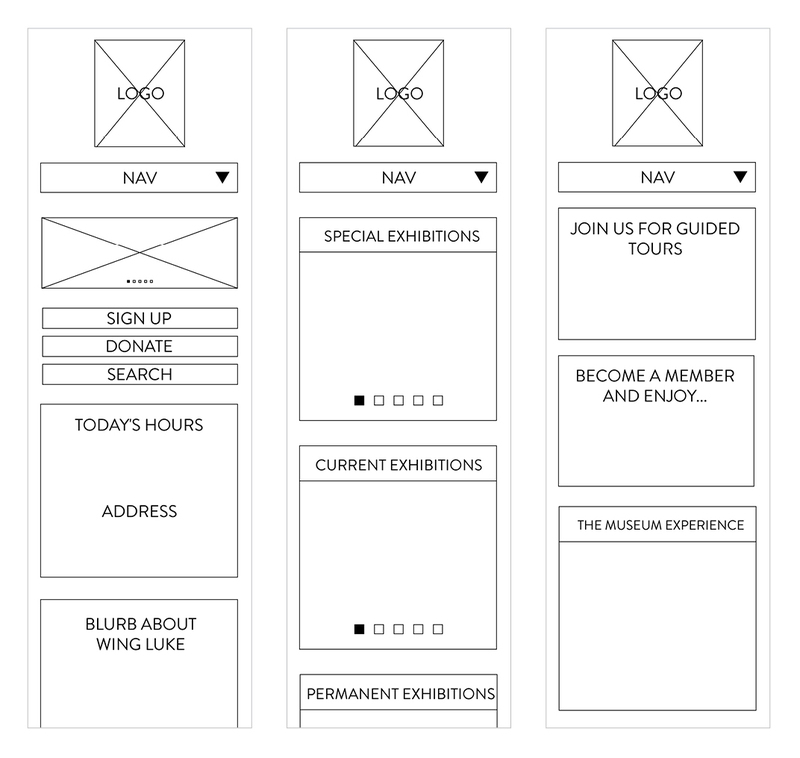 The Wing Luke Asian Art Museum—shortened to The Wing in 2010—is the only pan-Asian Pacific American community-based museum in America. 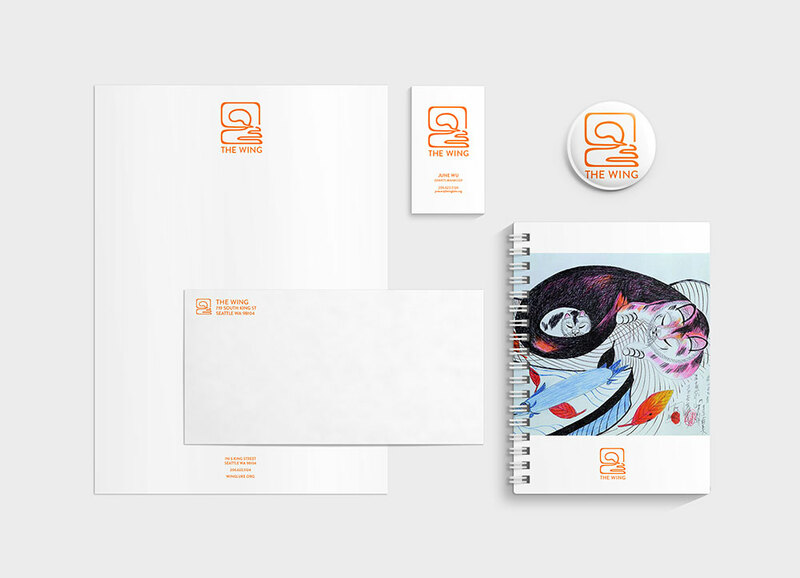 This fictional rebranding focuses on its emphasis on community and culture while taking into account its desire to appear modern, established, and relevant. The style of the logo is meant to allude to the seal style used in Asia. 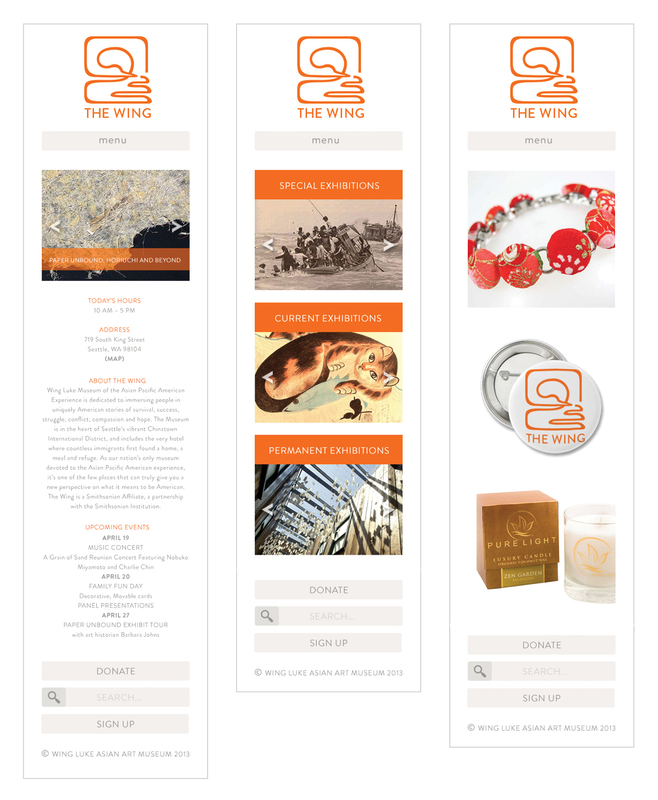 A part of the rebranding of The Wing included the responsive website that’s clean and airy, utilizing neutral greys with the red-orange found in the logo. Elements were kept minimal to bring attention to the art and photography. 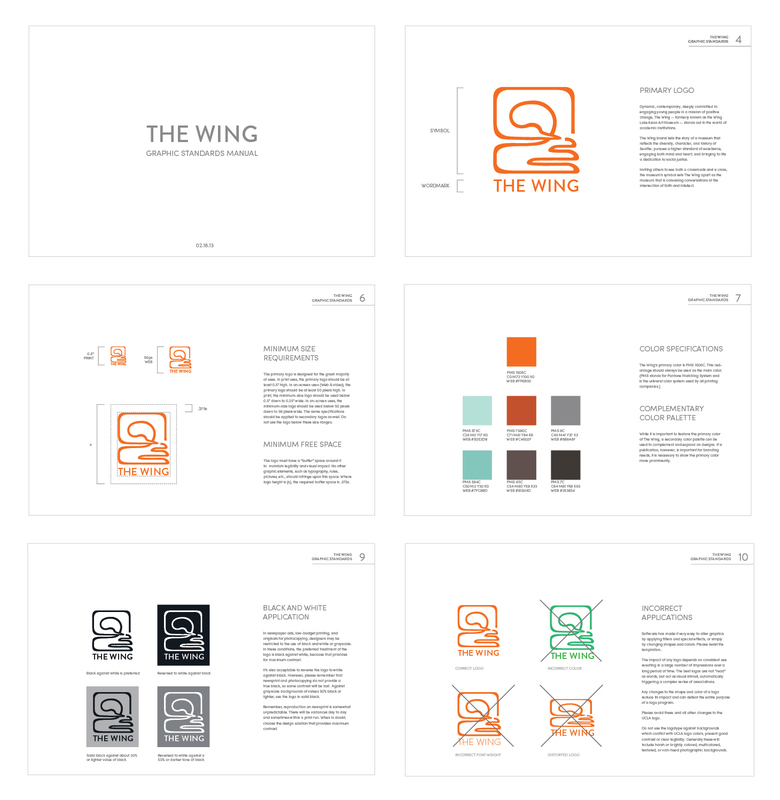 The graphics standards manual for The Wing is meant to ensure the correct usage of the logo. 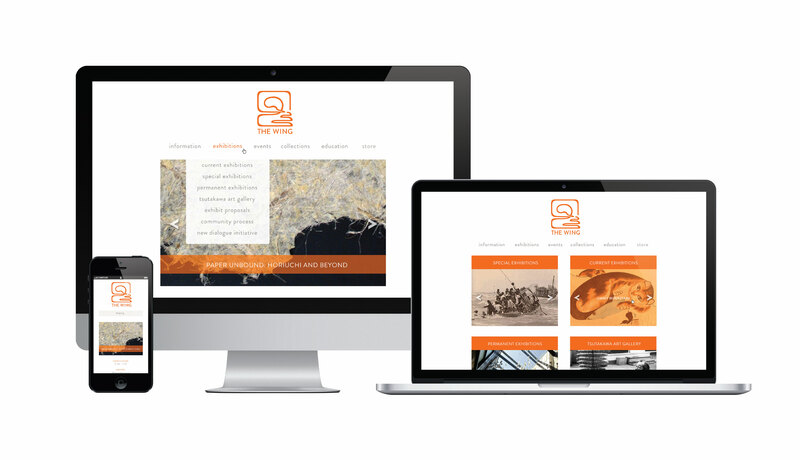 It gives clear guidelines and dictates an neutral, complementary palette with simple typography and layout in order to highlight the imagery and information.